Read a free excerpt and order Jill’s latest book! Watch California Memorial Online » coming soon! Watch Kansas City Memorial Online » Coming soon! This ministry is supported entirely by your donations. If you have been touched by the ministry of Master Potter, please consider making a contribution. Your love gifts are greatly appreciated, no matter how large or small. Calling all intercessors: Join our Prayer Shield and help lift this ministry up in prayer! We are seeking dedicated intercessors who will commit to regularly pray for Master Potter. Our desire is to continue ministering as we raise up spiritual sons and daughters whom the late Jill Austin mentored. 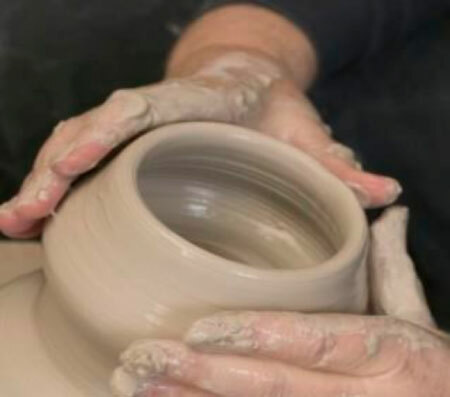 For now, please contact us here at Master Potter if you would like to have Linda Valen or one of the Master Potter team come to your church or conference as a speaker. The late Jill Austin was the Founder and President of Master Potter Inc. over 30 years ago. It is still operating and based in Southern California. Jill Austin had a child-like faith coupled with a fiery tenacity and resolute commitment to stand for the purposes of God. She was known for her unique friendship with Holy Spirit and her ability to impart radical hunger and passion for the Lord Jesus Christ. Jill moved with a catalytic anointing to release the fire of the Holy Spirit and break open the heavens over cities and nations, bringing revival with signs and wonders following her ministry. The Lord also used her to open up realms of glory and visitation with revelation of the Throne Room in her meetings. She moved with a breaker anointing to bring heaven to earth. Many have spoken of the legacy Jill Austin has left behind. It is a legacy of hunger and desperation for God. All around the world there are hundreds of thousands of people who have Jill's voice ringing in their ears. "How hungry are you? How desperate are you for more of God? Do you want a visitation?" All around the world there are hungry believers that are asking Holy Spirit to blow them up and set them on fire so that they can burn with passion for Jesus. Crying out in desperation for a visitation and expecting Holy Spirit to reveal the heart of the Lord. Our heart is to extend her fiery, Holy Spirit legacy to carry out her burning heart to mentor, train and equip forerunners and fledging prophetic eagles to operate in the power and presence of the Holy Spirit. Her desire was to see people move in the Spirit not only in the church, but also in the marketplace and outside the walls of the church with a demonstration of signs and wonders following. She longed to see people soar in their destiny in God. This life of mine is Yours to command. No matter what my heart may feel. And I submit "Just as I am". As seasons of my life unfold. When I begin to drift away. A clay shaped for eternity. 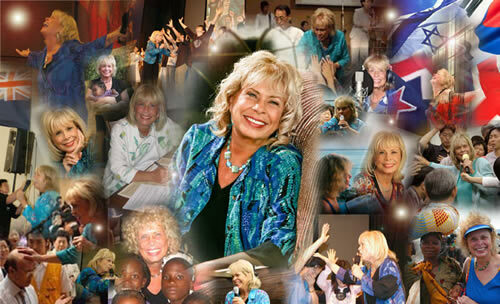 For the past 30 years, the late Jill Austin has ministered throughout the world and many, many lives have them changed by her messages, ministry times, and prophetic words. We would love to hear your testimony and collect them for our archives. Would you be so kind to mention your name, city and state or city and nation, church or conference, and the year this happened. We will NOT use your testimony without your permission. If you know the year of the photo and have a story that connects with that photo(s), feel free to share this with us too! Only photos with the following extensions will be accepted: .jpg, .jpeg, .gif or .png. All other files will be deleted without being opened. Donations are greatly appreciated as we continue to operate Master Potter and advance the rich legacy Jill Austin left for us to steward! Please donate online or make checks payable to Master Potter. Master Potter was founded by Jill Austin. Jill has traveled extensively for over 30 years as a national and international conference speaker, ministering the gospel with signs and wonders following. She has a powerful prophetic anointing and releases the fire of the Holy Spirit, bringing fresh passion and hunger for Jesus Christ. The heart of Master Potter is to see the presence of the Lord and His glory fill the earth so that churches, cities, nations, and continents will have encounters with Jesus Christ. This will usher in radical salvations, the return of prodigals, healings, deliverances, signs, wonders, and miracles everywhere! The Body of Christ must move outside the walls of the church and take the prophetic to the streets as well. Master Potter desires to train and equip believers to move in their areas of influence and walk in their destiny for Kingdom purposes.